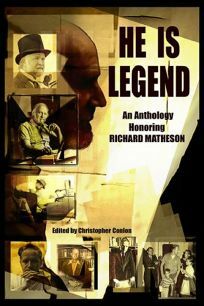 Poet and author Conlon (Midnight on Mourn Street) includes 16 original stories, each inspired by a different Richard Matheson work, in this heartfelt tribute to the ""legendary"" author. The quality is variable, ranging from the modest competence of Mick Garris&apos;s ""I Am Legend Too"" to Gary A. Braunbeck&apos;s pleasingly vindictive ""Everything of Beauty Taken from You in This Life Remains Forever."" Some stories, like Nancy Collins&apos;s ""Return to Hell House"", are mere retellings, while others, like the superlative ""Throttle"" (the first collaboration between Stephen King and his son, Joe Hill), are distinctive works in their own right. Conlon also includes the complete script for Matheson and Charles Beaumont&apos;s screen adaptation of Fritz Leiber&apos;s novel ""Conjure Wife,"" which unfortunately replaces the protagonist&apos;s cunning final ploy with a Hollywood-style resolution. This anthology is aimed at Matheson aficionados, but the strength and quality of the stories will attract a wider audience.